Pulse the dates in a food processor until finely chopped. Scrape chopped dates into a large mixing bowl and set aside. Add the walnuts, almond flour, coconut flour, and sea salt to the bowl. Pulse until mixture resembles a fine meal. Add the chopped dates, vanilla and coconut extracts and coconut oil and pulse until combined. Dump the mixture into the mixing bowl. Scoop out heaping tablespoons and roll compactly into balls about the size of walnuts. Place balls on a parchment or wax paper lined baking sheet. Melt the chocolate chips over low heat on the stove or in a glass bowl in the microwave. 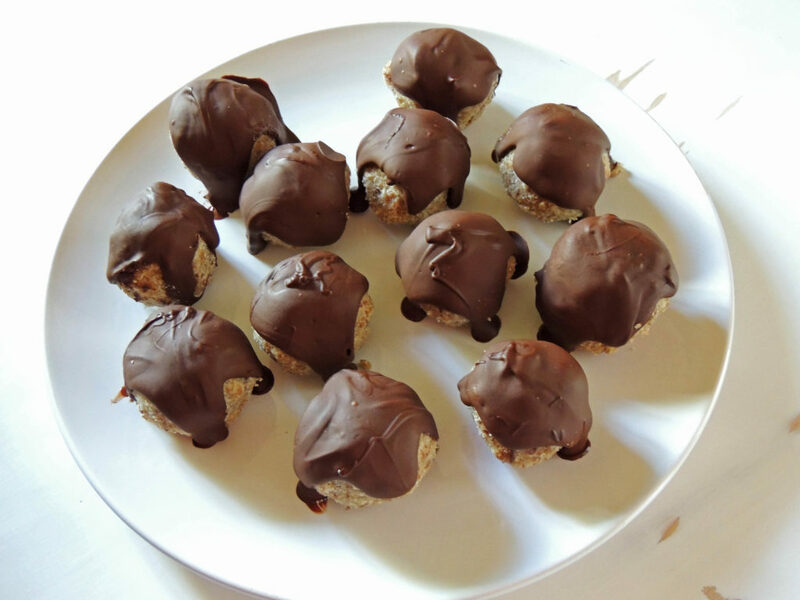 Drizzle chocolate over the balls or dip balls into chocolate. Chill until the chocolate hardens. Enjoy right away or keep chilled.